Beautiful malt with aromas from caramel to flower meadow and ginger. Lemon, vanilla, ginger, herbs, caramel, grass and flower meadow, lemon sorbet, fresh oak. 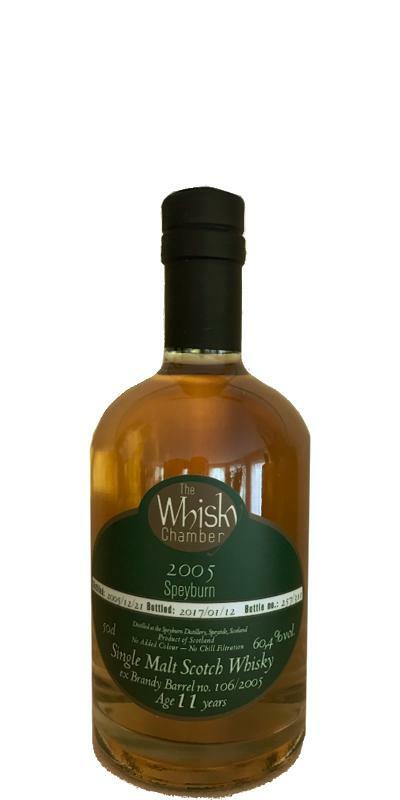 Lemon, vanilla, caramel, flower meadow, fresh fruit, apples, pears, herbs, ginger, fresh oak. Fresh! Lemon, flower meadow, herbs, oak. I thought it was different but tasty. Have tried the 5cl without water and that went smoothly. He is very closed in the beginning. I stop ... Ah ... now ... sweetened, boiled grapes. Typical vanilla, malt toffee. Sweet white wine, elderberry and a hint of juniper and marzipan. From the high alcohol content, I notice nothing at all. Sweet rose petal perfume and peppermint chewing gum. Very refreshing nose. Lychee, orange and some chocolate. Almost refreshing chopsticks with orange flavor. Cereals are still coming. Surprisingly softer, woody start. First a bit bitter, then fruity sweetness. Sparkling, fresh bitter orange with peppermint. Cereals and vanilla. The aromas trump vigorously through the alcohol. But definitely not alcoholic! At the second sip more spices and more white wine grains. Nice tingling in the mouth and slightly dry. Long. Spices, marzipan, grapes and remaining lychee. Slightly drier and drier. But somehow always with a nice sweetness and creamy structure.